Since Thanksgiving is only a few days away, I thought it would be fun to look at some modern table settings. This year I am thankful for my sister-in-law who is hosting and makes the holiday all that more enjoyable and stress free for me! All the same, these are some ideas of what I would like my table to look like. White gourd centerpiece by Design Public. 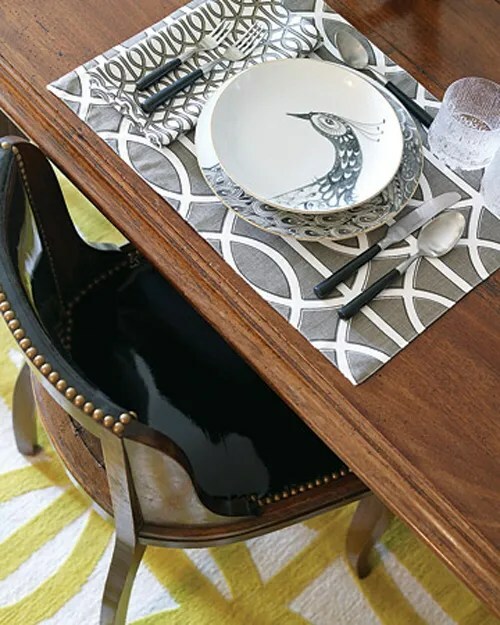 A simple white and black table via Brooklyn Bride. 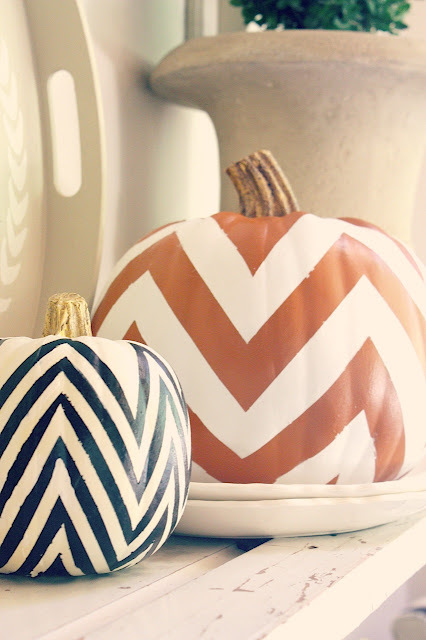 A DIY Chevron Pumpkin by My Sweet Savannah. A mod table setting by Green Wedding Shoes. A peacock table setting via Little Green Notebook. Here is to wishing you a very happy holiday and a graceful, grateful table full of your loved ones.